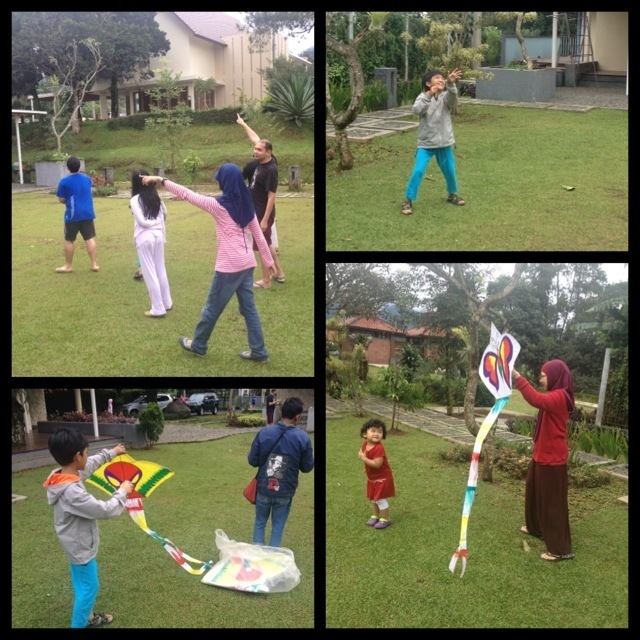 Living in the world of games and gadgets, we’re rarely see our kids playing our old-time fun activity: flying kites! But this morning Rafif and the whole family have fun trying to fly kites sold by local seller here. Despite numerous failed attempts and lost kites, Rafif finally got hang of it, and was able to fly his kite! Yay!